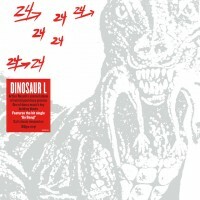 Dinosaur L was a band produced and directed by Arthur Russell and 24-24 is their seminal album of twisted post disco grooves. This is Russell’s excursion into early electronic composition, future funk and a touch of jazz. This is one of dance music’s key building blocks, and this album features the hit single ‘Go Bang!’. A cult classic proudly reissued by Demon Records on 180gm heavyweight black vinyl with printed inner sleeve.